Smart, simple technology for more efficient legal operations. A simple system. Serious results. Efficient legal operations shouldn’t require multiple programs and a stack of user guides. 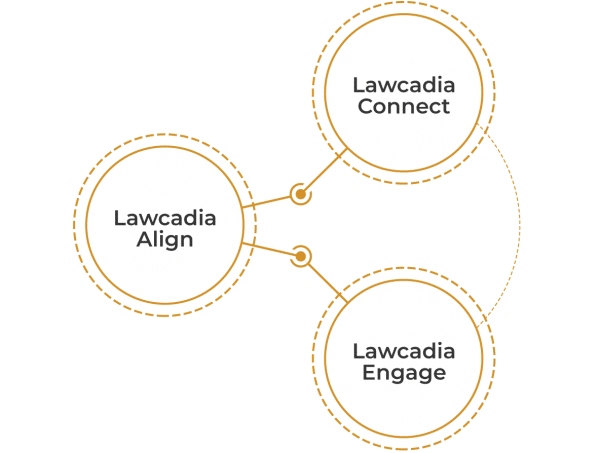 With Lawcadia, you can manage everything from matter creation, to engaging outside counsel and spend tracking and analysis in the one easy to use application. Choose the individual components that best support your team or implement the entire Platform. End to end matter & spend management. Take control of your legal operations with the system designed specifically for in-house teams. Streamline your legal operations and connect your team, business and law firms through a single, easy to use application. Meet and maintain the most demanding security and compliance requirements with an ISO certified Information Security Management System (ISO 27001:2013). Let the numbers tell the story with automated data capture and real time reporting. Access over 20 sophisticated reports built specifically for engagement, matter and budget analysis.